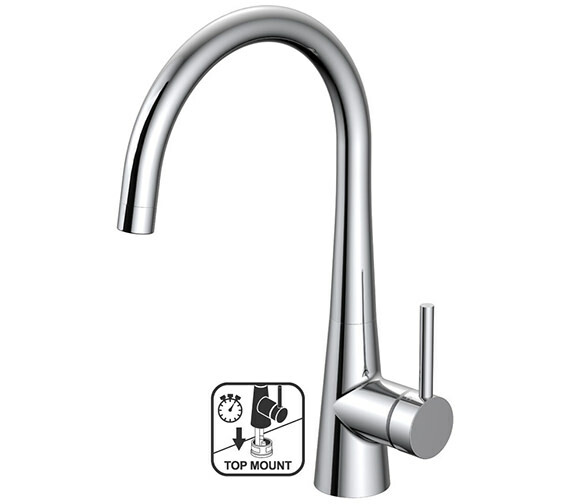 The Teka TTM Single Lever Kitchen Sink Mixer Tap features a cone shaped contemporary base with a cylindrical body for a trim and streamlined appearance. The water volume is controlled by the multi-angle side lever which is integrated with a cartridge to enhance the flow. 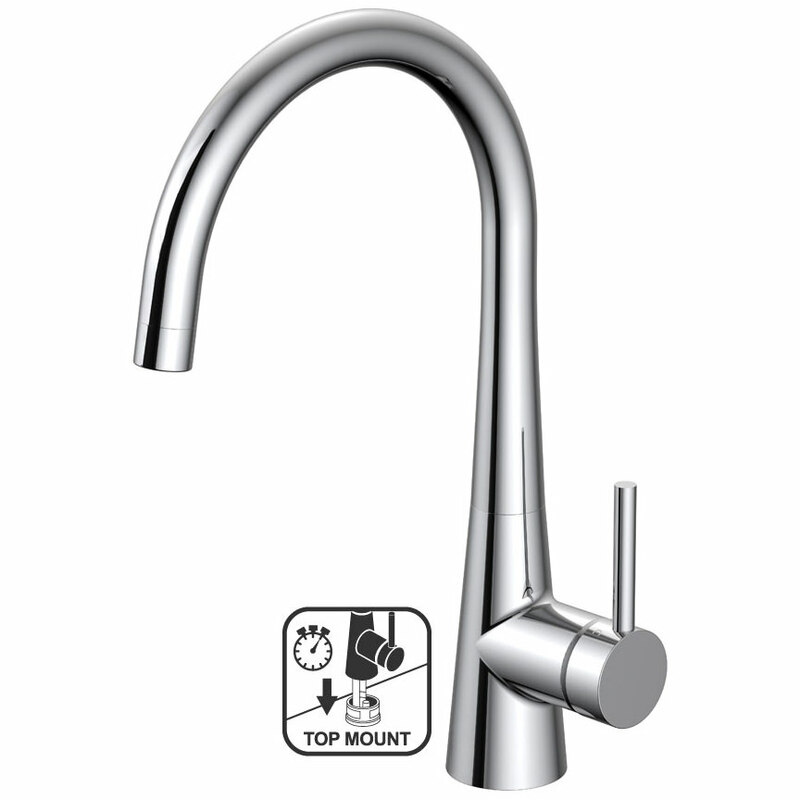 The spout can easily be manoeuvred from side to side using the patented locking mechanism which gives the tap outstanding stability without leakage or movement over time. It features a top mounted installation and is so easy to install that it can be done by a single person from above the worktop in less than 3 minutes. It comes with a 10-year warranty from the manufacturer.